Chaurasi temple is complex temple located in center of Bharmour town. This temple has a great religious value as temple was built around 1400 years ago. The temple of Ganesha, Lakshmi, Narsingh and Manimahesh completes Chaurasi Temple. Chaurasi is hindi word for number Eighty Four. There are several things related to this Chaurasi which we are going to mention below. Here below is all information about Chaurasi Temple, Significance of temple, Gods that completes chaurasi temple, best time to visit temple and how to reach temple is given below. There are several stories and believes about this ancient temple. Some of them are given below.There is a beautiful temple of Manimahesh in shikhara style located at center of the complex. 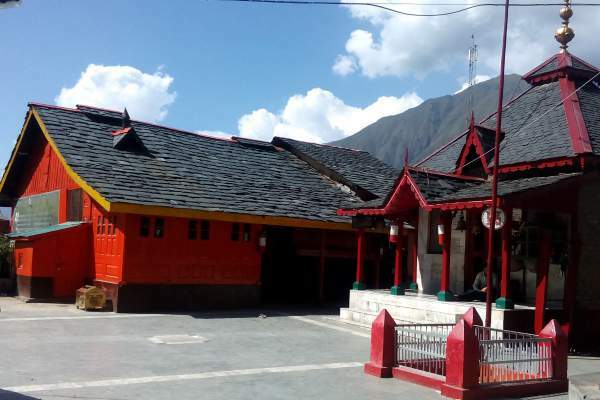 It is believed that when 84 Siddhas, who had come from kurukshetra, were passing through Bharmour to visit Manimahesh, they fell in love with the calmness and beauty of Bharmour and for friendly relation between nature to meditate here. Chaurasi Temple Complex was built approximately in 7th century, although repairs of many temples have been carried out in later period. There is a beautiful story about this temple which is also linked with District Chamba. Is is believed that 84 yogis visited this place at the time of Sahil Varman. Yogi's were pleased with hospitality of Sahil Verman. Yogi promised Varman 10 sons as Sahil Varman was not blessed with any Son or Daughter. King requested them to stay back in Brahampura(Old Name of Bharmour) till the prediction of Yogis was fulfilled. In due course of time the king was blessed with ten sons and a daughter. Daughter was named Champavati and because of liking of Champavati new capital Chamba was established. So in respect of these yogi's this clean, delightful and great scenic view temple was built by King Varman. There are several Hotels and Lodges to stay while visit to chaurasi temple. 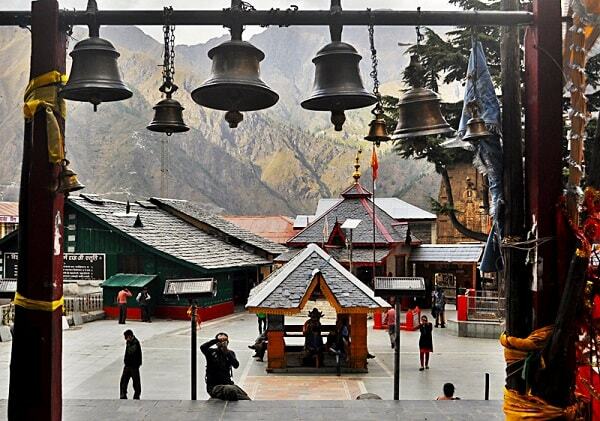 There are some given staying options when you visit Chaurasi temple, Hadsar and Manimahesh. These are given below. - Shanti Guest house etc. 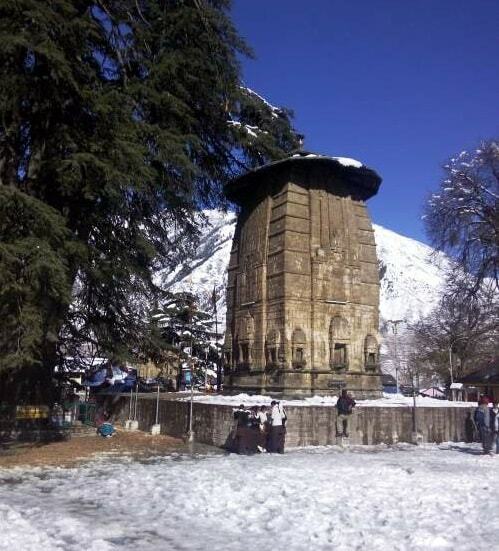 Chamba is known for heavy snowfall, so best time to visit chaurasi temple is during in May to November month. As in other months this divine place is covered with snow. Manimahesh is most popular pilgrimages for devotees and open to visit during these months. - Manimahesh Lake : Manimahesh lake is center of attraction for devotees. The Lake is dedicated to lord shiva and located at a height of around 4000 meters. People believe that manimahesh lake water is holy and dip in this holy water makes anyone holy man. - Kugti : Kugti is a small village located at Bharmaur near kugti pass. This place is located at a height of more than 5000 meters. Kugti is winding from Bharmour to Keylong. - Hadsar : Hadsar is end point of road and is flooded with tourists during Manimahesh Yatra. Hadsar is 17 km from manimahesh lake and 14 km from Bharmaur. 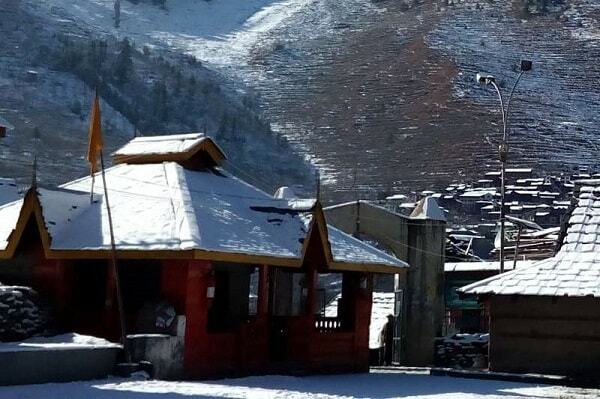 - Dhancho : Dhancho or Dhanchho is mid way or destination during manimahesh yatra. It is around 24 km from Bharmour. - Bharmour is around 63 km from Chamba and HPRTC provides special bus services between Chamba and Bharmaur. There is also Taxi services availble in region.